In Nigeria, the major cause of infection or death has been attributed to consumption of polluted water. 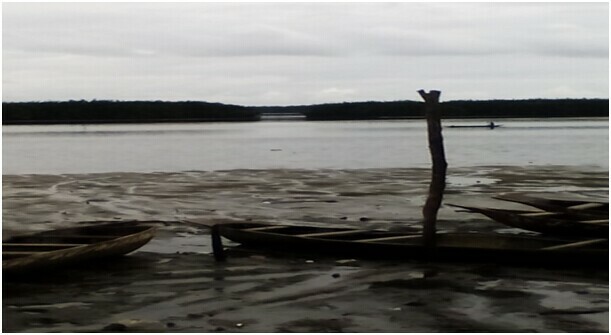 The employment of Membrane Filtration technique has shown that two water bodies in Port Harcourt contain Faecal coliforms beyond regulatory permissible limits for water quality. Inarguably, water is the basis of life; as it makes about 65 – 98 percent of the total weight of any functioning living cell. In a recent publication by author Prince C. Nnadozie, it was revealed that in the Niger Delta, potable water is a very scarce resource despite the numerous rivers or water bodies it may boast of. “To most of the people in the region, it is an important resource that is required/cherished more than the crude oil, which has brought trillions or ‘infinitillions’ of naira into the national coffers,” Nnadozie later said. However, the author is worried by the continuous spate of pollution and other imminent environmental challenges posed by human and industrial activities in the Niger Delta, the oil rich region in the Southern part of Nigeria. In the paper, Nnadozie says that, “Faecal coliforms in source water have been linked to the major cause of enteric diseases and death of many people living in Port Harcourt”. Evidence provided by the paper revealed that high level of Faecal coliforms is found within sites with pronounced human and industrial activities. At the Tourist Beach (B), highest pollution occurs; and lowest at Abonnema Wharf (A), but with no significant difference. Based on this evidence, Nnadozie goes on to say that the Abonnema Wharf and Tourist Beach waters were bacteriologically unsafe for drinking because of their high incidence of bacterial (faecal coliform) contents. Microorganisms such as Escherichia coli, Klebsiella pneumoniae, Pseudomonas spp., Staphylococcus aureus, Proteus spp., Bacillus spp., Citrobacter spp., Salmonella spp., Vibrio spp., Serratia spp., Enterobacter spp. and Shigella spp. were reportedly found in the waters by the author. Through the paper, Nnadozie also showed that the levels of Faecal coliforms in the waters could be associated with defaecation into the water bodies by inhabitants of densely populated settlements in and around the region. “The high level of contamination in the waters may be as a result of the presence of market, the canteens and the staff quarters, erosion and irrigation run-off from agricultural fields, and the massive cattle-rearing activity in the area. The activities of humans through washing, direct urinating and dumping of faecal materials into the water bodies may contribute to their pollution.” the author stated. Department of Microbiology, Faculty of Biological Sciences, University of Port Harcourt, Nigeria.